The Complete Mystery of Madeleine McCann™ :: Madeleine Beth McCann :: PeterMac's FREE e-book: What really happened to Madeleine McCann? It is then sometimes referred to as the Argument by repeated assertion. This does not reinforce the argument. In some cases it may make it weaker in the minds of perceptive listeners, as the lack of any supporting evidence is exposed. In fact the main Red Herring which was pulled across the trail of the PJ was the insistence by 9 professional people that everything happened on the evening of Thursday 3rd May 2007 between 9:10pm and 9:50pm. The entire investigation - the witness statements; the media reports; the UK establishment influence; was all built on lies and deception. 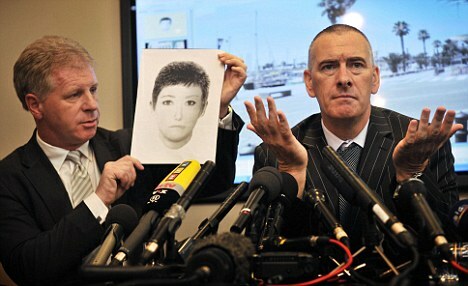 Lies and deception perpetrated by the key players - the McCanns. For this reason alone, the PJ were prevented from undertaking a routine police investigation. The information they were working on was seriously flawed - it was lies and deception created by the McCanns and their friends and associates. They investigated the abduction hypothesis because that was what they were told. They wasted extensive time and money on false leads and sightings created by a source close to the McCann faction. They were duped time and time again until the bona-fide, the official investigation, ground to a halt. As fast as new developments arose in the investigation the hole was plugged. Rule out Thursday 3rd May and the whole masquerade is un-plugged - no Madeleine seen on the afternoon/evening of 3rd May, no Tannerman, no Sagresman, no Smithman, no crecheman - just a flood flushing out and drowning all the lies and deception. The red herring is no more - done up like a kipper !!! Caught - hook line and sinker !!! Gonçalo Amaral and his team of detectives have been thoroughly humiliated - indeed, so has the Portuguese nation. Isn't that what most criminals do by default? They were duped time and time again until the bona-fide, the official investigation, ground to a halt. I'm pretty sure that GA had them sussed pretty early on. 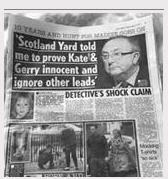 He smelt a rat upon setting eyes on the scene for the first time ('why had the beds been stripped'), quickly ascertained there was no sign of a break in and cast doubt on the McCann narrative the very next day with the suffix of '??' after abduction. I don't think he / they were ever duped, but routinely stymied. I agree Sundance. From the files it is clear that the P.J. 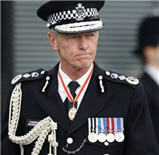 were not duped but rather they were stymied by the McCanns and their powerful supporters, including diplomatic staff. The P.J. were prevented from holding a thorough reconstruction of what happened that evening after Madeleine went to high tea. They were not even allowed to take the McCanns clothing for forensic analysis. They quickly saw through the "checking routine" lies, David Payne's alleged visit, Matthew Oldfield's alleged check, Jane Tanner's fabrication of Tannerman etc. As experienced investigators they would expect lies and deception from witnesses and would be able to spot it a mile off! I do strongly agree with Peter Mac's analysis re. the nature of argument. Ignoring evidence in favour of an argument does not make that argument stronger, no matter how many times it is repeated nor how many times it is alleged that the numbers who believe in an argument must make it a fact! My children used to use that technique form a very early age - "Everyone else is allowed to have one! ": "All my friends' mothers are letting my friends do it!" It didn't work then either. PeterMac, a former senior police officer, has studied this case since the beginning , through the forensic lens of a seasoned cop - a cop who knows all the tricks of the trade, the intricacies of a criminal investigation. PeterMac doesn't work for financial gain nor public adoration with TV or radio studio appearances/interviews, he works only for justice in the name of Madeleine McCann. PeterMac had this to say about the PJ investigation, in this latest chapter to his e-book..
@PeterMac wrote: The Red Herring is a reference to a stinky fish dragged across a trail being followed by hounds in order to divert them by leaving a stronger scent. The PJ, and almost everyone else concentrated on that day and date, those times, and the description of the situation in the apartment, and tried to make everything fit within them. @Verdi wrote: PeterMac, a former senior police officer, has studied this case since the beginning , through the forensic lens of a seasoned cop - a cop who knows all the tricks of the trade. One of the Tapas 9, Jane Tanner, claimed to have actually witnessed Madeleine being abducted at around 9.15.p.m. No police force, duped or not duped, could be seen failing to act on this information. Just because the P.J. had to investigate this claim does not mean they were duped (as is clearly shown by the P.J. 's and Dr. Amaral's opinions on the lies and fabrications offered by the tapas chums). IMO, the P.J. investigation under Dr. Amaral (who had the advantage of being on the spot while this investigation took place, something only he and his officers had) was advancing well, despite opposition. It was only after Dr. Amaral's removal and the flight of the Tapas 9, including the McCanns, that the investigation faltered. No longer able to question the witnesses and arguidos face to face or to mount a meaningful reconstruction, the case was over. The archiving process was merely the coup de grace for what has been aptly termed -"the interrupted investigation". When was the last time you bought clothes in UK labelled size 6. As I haven't lived in the UK for many years I don't tend to buy my clothes there. My adult daughter however, fits very neatly into a 6 (American jeans-dresses-etc. of course) She has left the most fantastic pair of trousers in her bedroom which I positively covet! Oh! to be young again!! This new PeterMac e-book Chapter 30 'Forget Facts, Focus on the Fallacies' is much like Peter Mac's previous e-book Chapter 29 'Fake News' - it is a package designed to show a correlation between the different synonyms relative to lies and deception. They both require some consideration before commenting otherwise they are open to misinterpretation - just like the many facets of the PJ investigation files. Here, it seems to me that commentary so far shows a total misunderstanding of the undertones and overtones of the subject matter - either through lack of attention or deliberate misinterpretation to fit a particular mindset. Either way, clearly the message is being wrongly applied. The latest chapter is not intended to be an attack against any specific member of CMoMM, it is a global view of how opinion has been obscured by the primary protagonists, their friends and family and their paid accomplices. Both chapters when read with attention, convey the same message - lies and deception. These lies and deception guided the PJ investigation and global coverage of the investigation into a blind alley. 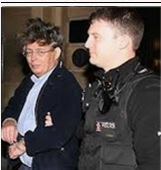 You only need read the PJ files covering the case from 3rd May 2007 to the archiving process and subsequently Goncalo Amaral's book to realise how effective the McCann faction subterfuge was and still is. A lot of water has passed under the bridge since the case was archived in the summer of 2008. Like any criminal investigation - time doesn't stand still until a case is solved. Sometimes not even then. The PJ, like the world in general, were well and truly duped. Dr. Amaral has said (many years after the case was archived) that the answers to solving the Madeleine case lie in the evidence garnered in the first 6 months of the investigation. It has been suggested that he lost interest after he was removed and in the subsequent years. This assertion is not borne out by his public comments on the case up to and including last year. I can think of no one who has more motivation to remain interested! After all, this case ruined his career, his marriage, his financial stability and threatens his reputation. He was instrumental in gathering and collating the bulk of the evidence contained in the P.J. files. These files still form the basis of any investigation on which others have since embarked. He was the one who had a ringside seat as the events unfolded. He had access to witnesses, alibis, arguidos, informal interviews and information and the local "grapevine". He could watch and listen as liars squirmed and blustered. He was an experienced senior office with the incalculable advantage of being there as events unfolded. I, for one, see no reason not to trust his copper's nose. @Phoebe wrote: Well said that man! @Verdi wrote: This new PeterMac e-book Chapter 30 'Forget Facts, Focus on the Fallacies' is much like Peter Mac's previous e-book Chapter 29 'Fake News' - it is a package designed to show a correlation between the different synonyms relative to lies and deception. 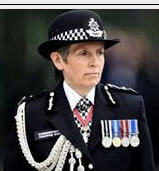 Is it your view therefore that, for instance, the report by Chief Inspector Tavares de Almeida (http://www.mccannpjfiles.co.uk/PJ/TAVARES_ALMEIDA.htm) is indicative of the PJ's having been “well and truly duped”? ....a former senior police officer, who has studied this case since the beginning, through the forensic lens of a seasoned cop - a cop who knows all the tricks of the trade. That Almeida statement excoriates the whole McCann narrative and succinctly describes the various ways in which they were not buying any of their horses*** from the get go. As I mentioned earlier, which was totally ignored, is that Dr. Amaral in his own words, in his own book called bulls*** from the moment he clapped eyes on the scene. Interesting that one or two are saying that the Red Herring was not successful, since GA did not accept it, and had in fact seen past it by the end of day 1. That may be true, but he couldn't get out of it, and 2105 - 2200: 3/5/7 remained the official time and date right until it was Archived. Time and Place – Between 21H05 and 22H00 of the day 3 May of 2007, at the G5A apartment, located at the touristic resort ‘Ocean Club’, Vila da Luz, Lagos. According to the Time and Place, the facts occurred on the day 3 of May of 2007, in a temporal hiatus, understood to be between 21H05 and 22H00 (being certain that after 17H30, only GERALD and KATE had contact with MADELEINE) at the resort named 'Ocean Club', located in Vila da Luz, Lagos, place, where the minor’s family, along with seven other persons, with whom they had a friendship relationship, where enjoying some holidays, with the duration of one week. From the documentation, you will observe that during the investigation various possibilities were contemplated. Kidnapper(s) towards the parents (intended abduction) or by taking merely the opportunity of the child being at a vulnerable situation (opportunity abduction). As a remote hypothesis, the possibility of the minor leaving the apartment by her own means was explored – that would be highly unlikely physically – and after, because of an accident or by a third person intervention, she would have disappeared. In conclusion, it results from everything that has been done, despite the efforts that were made and all investigation lines being explored, that it is not possible to obtain a solid and objective conclusion about what really happened that night, and about the present location of the missing minor. Quod erat demonstrandum. The Red Herring was wholly successful. PeterMac has explored this case on an evidence and factual based approach. Edgar has focused on nonsensical theories that have been easily exposed as false or even claptrap. Peter Mac is nothing like DI Edgar. After Dr. Amaral was removed from the case, and those involved as arguidos and witnesses fled Portuguese jurisdiction, the P.J. investigation, IMO, clearly lost its teeth and has remained gummy ever since, save for the "last sting of the dying wasp" comment by the Supreme Court, which may have salvaged some national pride. The minor, Madeleine McCann died in apartment 5A on the night of May 3rd. There was a simulation of an abduction. 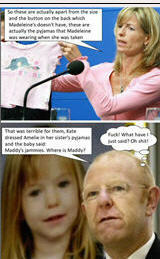 Kate and Gerald McCann are involved in the occultation of the cadaver of their child Madeleine McCann. Now the P.J. cannot even state what type of crime they are investigating, let alone who might be involved!! IMO, such a volte face was not due to being "duped" by any red herring, rather it was due to potential political ramifications. Those suspected under Dr. Amaral's watch were no longer in Portugal and forcing them to return would have involved making legal appeals to a government who had publicly supported the suspects and whose ambassador had prevented the P.J (under G.A.) from gathering evidence. 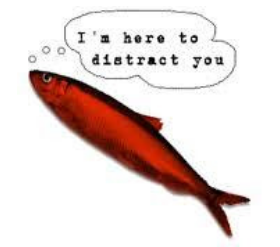 From my reading of the final report the "red herring" would have had to have thrown the P.J. so completely off the scent that they no longer had any idea of what had even happened to Madeleine or whether she had indeed been abducted as her parents claim! I do agree that the P.J. changed their tune after Dr. Amaral was publicly and forcefully removed from the investigation but, I honestly doubt they were "duped". To me they were warned off and capitulated to pressure. If Madeline did wander out of the apartment then surely in her half asleep mode she's not going to close the door behind her children just don't do that. He finishes the report suggesting further investigations are required. it was not possible to determine the specific circumstances of the disappearance of the minor and, consequently, to know her current location or whereabouts. On the other hand, it should be noted that this investigation was conducted under conditions of exceptional media scrutiny, with the publication of immense "news" of imprecise, inaccurate or even false content, which did nothing to uncover the truth, on the contrary, raised further difficulties for investigation. You really do need to brush up on the case if you think David Edgar is an honourable gent. The bloke is a buffoon. A paid accomplice, I'd go so far as to say a crook - a perverter of justice. 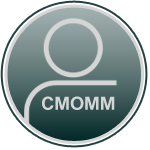 Use the forum search function and all will be revealed.